Ambassador • Utahn will travel 100K miles promoting the sport. Roosevelt&apos;s Chenae Shiner realized her longtime dream Wednesday when she was named Miss Rodeo America at the Wrangler National Finals Rodeo in Las Vegas. The 22-year-old barrel racer became the sixth Utahn to win the title. She is a former National High School Rodeo Queen. After being runner-up Miss Rodeo Utah in 2010 and 2011, she won the state title this year representing the Ogden Pioneer Days Rodeo. "It was definitely a long road to Ogden," she said from Las Vegas. "I began competing at 8 and, in high school, won the state and American titles, and then came back to Ogden, which was the next step in my journey." 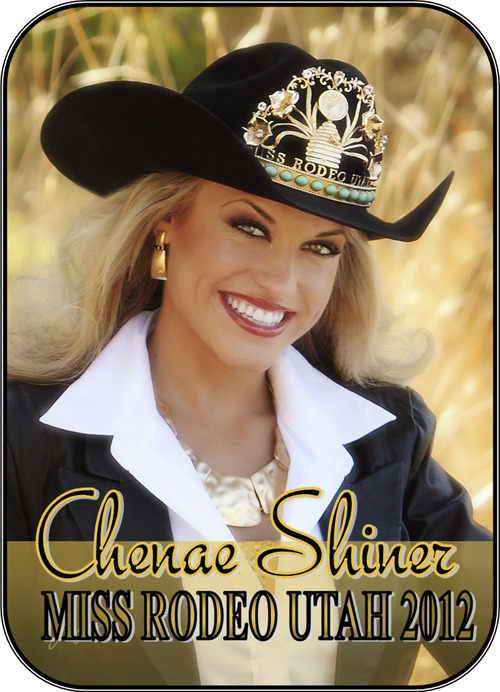 As Miss Rodeo America, Shiner will travel 100,000 miles in the next year, appearing at nearly 100 rodeo performances. She also will make appearances at schools, before civic groups and in other events, promoting the sport of rodeo. "My message is that rodeo is a family sport," she said. "It is the only competition where your competitor is your brother and best friend. I want to take the message of the rodeo lifestyle and all that it represents across the country and especially back to my home state of Utah." She competed against 30 women from around the country in a weeklong event that included judging in personality, horsemanship and rodeo knowledge, public speaking, interviewing, equine science, current events, photogenic qualities and overall professionalism. "My absolute favorite has always been the fashion show," said the Union High graduate. "It is a place where you can get up and have fun. It&apos;s always a blast with the girls to model fashion-show dresses. "I knew then when I walked away, no matter what happened, I did my absolute best," she said. Mary Shaw Drake was the last Utahn to hold the title, becoming the national queen in 1997. "All my life I have grown up emulating and admiring the women who have worn the Miss Rodeo crown," said Shiner after winning the Ogden title earlier this year. "For me, Miss Rodeo Utah is a woman who embraces the Western lifestyle, holds strong to her values, is a role model for younger generations and knows the importance of family and faith," Shiner said. "These are qualities I have always strived to uphold both inside and outside the arena." Nicole Cypers, director of the Miss Rodeo Utah Pageant and a member of the Miss Rodeo America national board, described Shiner as thrilled and excited. "She can&apos;t wait to represent some of Utah&apos;s rodeos," said Cypers.